Navigate global markets with Barron’s, the world’s premier investing publication. Get the trusted insights and in-depth analysis that have been guiding investors since 1921. 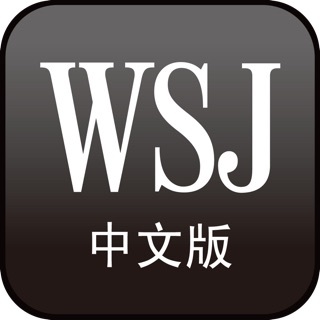 With comprehensive financial analysis, daily commentary, and investment strategies from Wall Street’s best minds, the Barron’s app gives you access to critical news moving global markets, wherever you are. Now available direct to you on the iPhone and iPad—never miss an opportunity to catch the next rally, or avoid the next correction. Download the app today and get instant access to Barron’s exclusive articles, providing you with critical insights and forward-looking analysis on stocks, bonds, commodities, funds and more. Plus, receive top investment ideas, recommendations and in-depth coverage of developments shaping global economies and affecting business around the world. 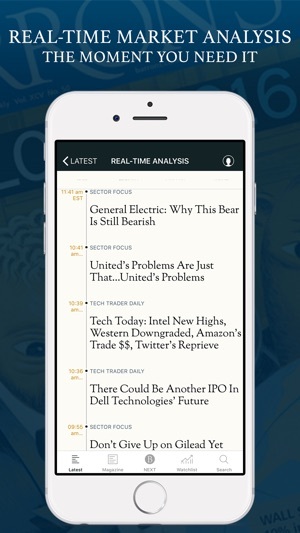 Simple to use, intuitive and beautifully designed in keeping with the print magazine’s format, the new Barron’s app allows you to easily access the information you need, when it matters most. 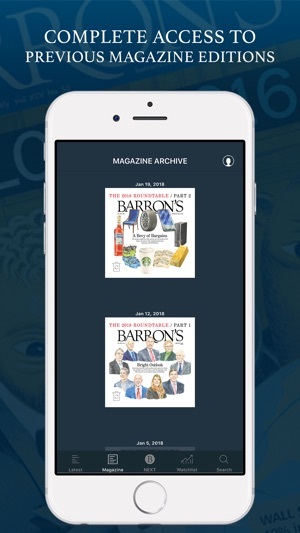 The recently redesigned Barron’s app has countless new features, including a new download and save feature—giving you access to investment articles, daily financial news and insightful analysis whether you’re at home connected to Wi-Fi, or commuting to and from work. * New user-friendly design—clean, sleek and optimized for iOS devices. * Plus, access to Barron’s previous print editions. Barron’s offers comprehensive investment articles, economic data releases and unrivalled financial analysis that helps you put breaking news into perspective—allowing you to understand what’s being reported and the impact it has on your funds, the financial markets, business and the global economy. 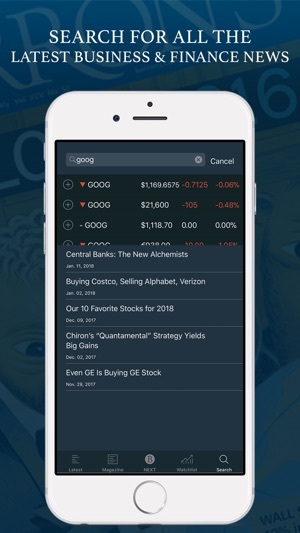 In addition, the new Barron’s app also gives you the tools and data you need to navigate global indexes, pick stocks and outsmart the market. 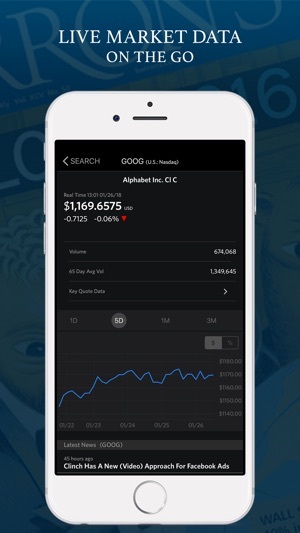 With access to real-time stock quotes within articles, interactive charts and key metrics, as well as exclusive insight from Wall Street’s best minds and unrivalled financial news coverage, you’ll always have the information you need, when it matters most. 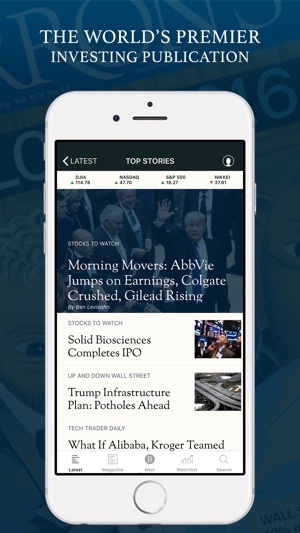 The subscription-based, full version of the Barron’s app gives you complete access to Barron’s, the world’s premier investing and finance publication—get daily updates from Wall Street’s best, plus peerless financial reporting and business insights. With a new design, optimized for iPhone and iPad, the new Barron’s app allows you to navigate global markets with confidence. Download the Barron’s app today and see why we’ve been a trusted source for financial reporting since 1921. New subscribers pay only $14.99 a month for unlimited access to Barron’s on iPhone, iPad and Barron’s Online. Subscriptions include a 4-week free trial. Your subscription will renew automatically each month and payment will be charged to your iTunes Account within 24 hours prior to the end of the current period. You can turn off auto-renewal by going to your Account Settings after purchase. No cancellation of your subscription is allowed during the active subscription period. In Barron's 5.0.4 version, we've improved the magazine experience by upgrading the back end technology and consolidating the magazine sections. All magazine stories now appear on one screen and within one section for easier browsing.